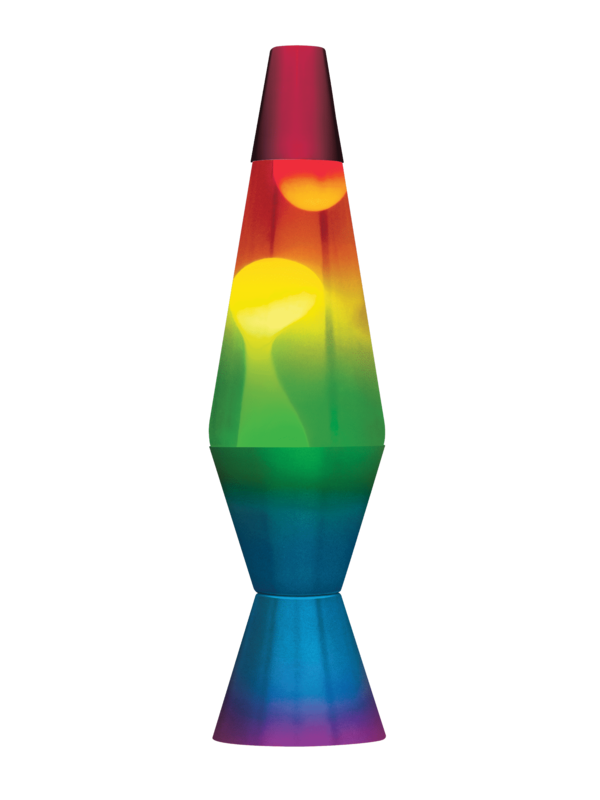 This colorful LAVA® lamp captures the bright colors of a beautiful rainbow! The base, cap and globe are all painted by hand to give you a beautiful, custom-made lamp! 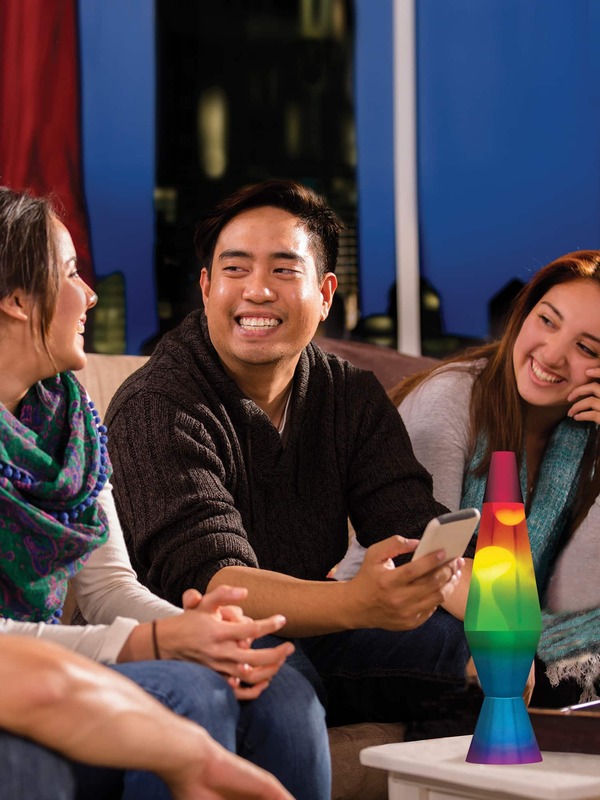 The white wax appears to change color as it flows up and down the hand-painted, tri-colored glass globe. 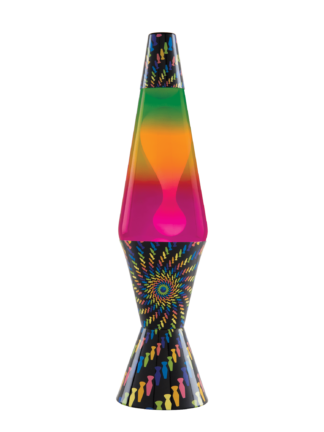 Watch the motion and enjoy this version of the timeless Lava® lamp. 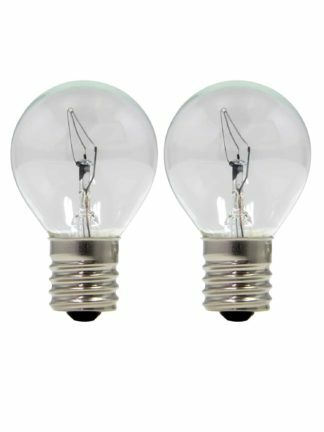 This bulb works in 14.5″/ 20 oz. 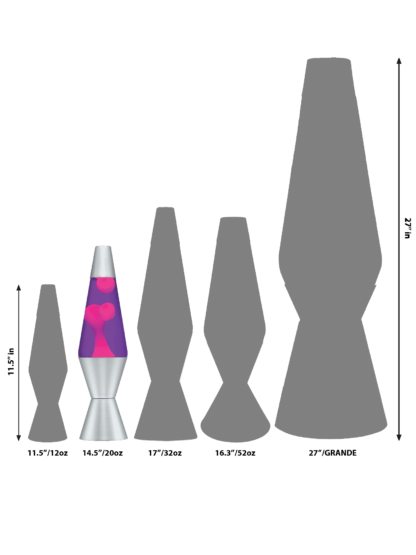 LAVA® lamps. © 2019 Schylling Inc. All right reserved. LAVA®, and the configuration of the LAVA LITE® MOTION LAMP are registered trademarks of Schylling Inc. in the U.S.A. and in other countries around the world.